I have never met a horse like Völundur before for sure. He has a perfect super sweet and positive character, is 1000 % safe to ride, always wants to please the rider, never scared of anything. Völundur is really a stunning beauty with his super long legs, perfectly long well raised neck, beautiful head. 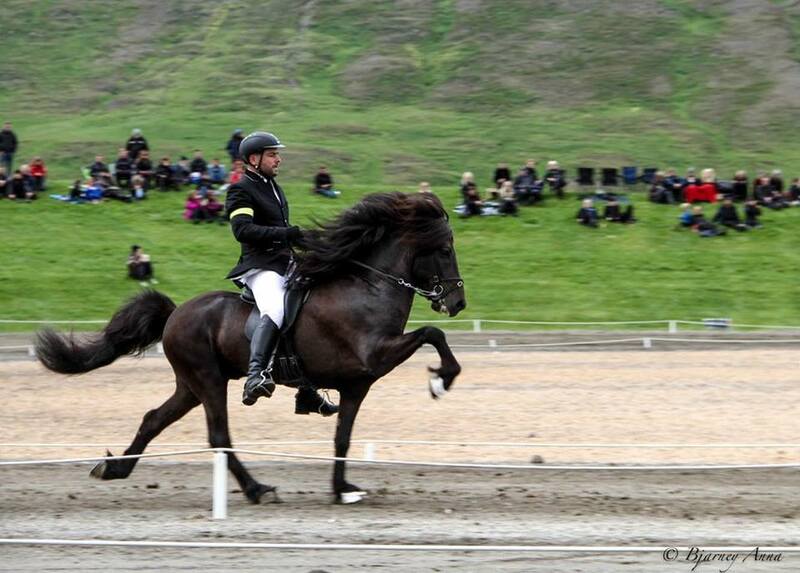 Beside his look, size and character also his gaits are very good and he will do well in competition. His tölt is always clean beated with good movements and very good speed range. And he has very good ground gaits, big trot, huge canter and relaxed good walk.